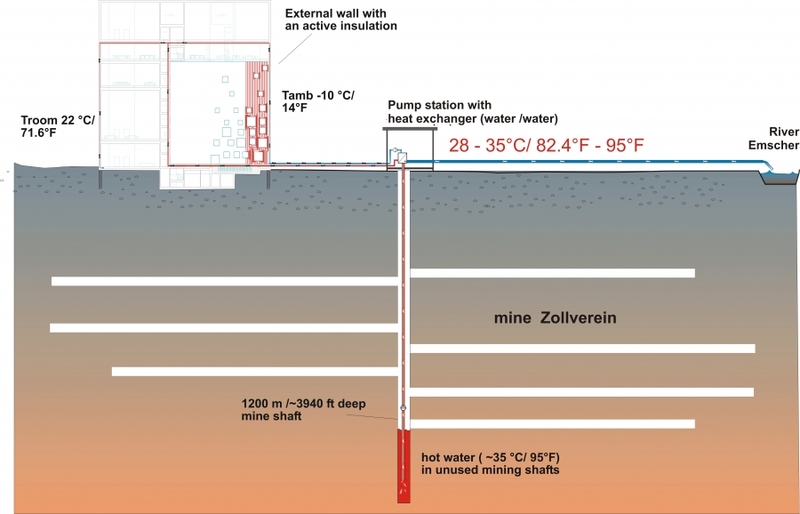 Zollverein School of Management and Design by SANAA makes use of unused water of 30°C from the old coal mine to heat up the building. 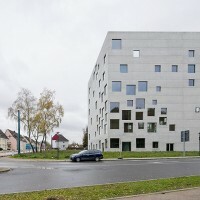 German Architects Waste water was being wasted into the river every year but with Active Insulation System the water now circulates around the building before going to waste; heating in winter and cooling in summer. This Active Insulation System using waste water is zero carbon emission and making most of unused water before going to the river is applaudable. However, it can be argued that in the long run thick insulation inside walls and floors may be more sustainable. 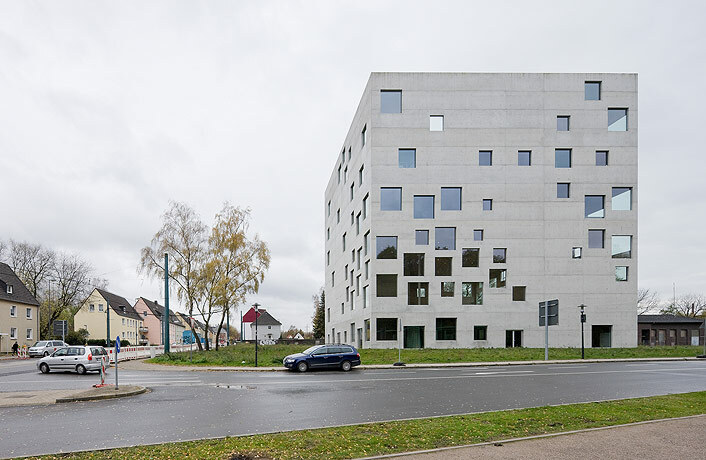 Archdaily Transparency and lightness of concrete is a result of Active Insulation System. Because hot water from the coal mine circulates inside the walls and floors, insulation is unnecessary; hence the lightness of the skin and the structure.